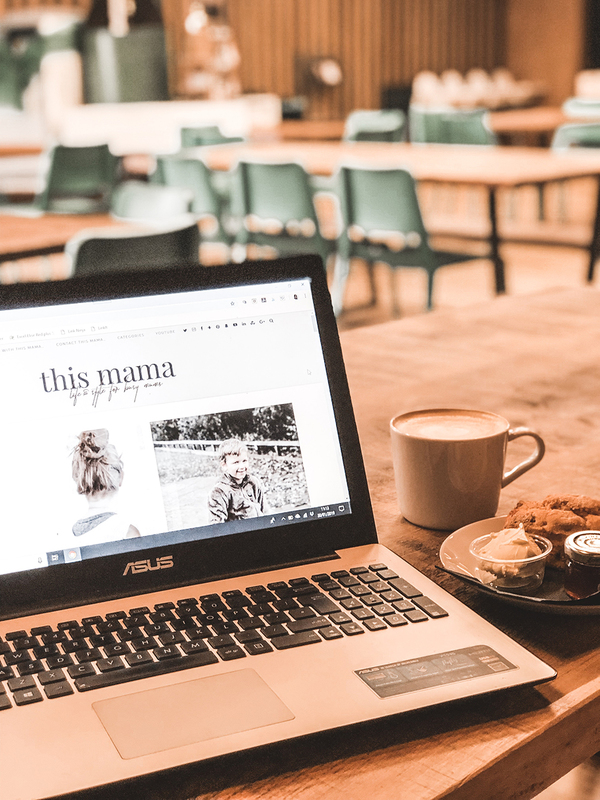 I’m a work from home mum, which means I could literally be working from anywhere in the house, trying to cram a bit of writing in or answering emails whenever I can, flipping from my laptop to my phone. I‘d love to say I have a gorgeous desk space or a home office but we just don’t currently have the space so in the meantime it’s working from the kitchen breakfast bar. Being a self employed mum, working from home can be so isolating. Apart from the school run when you have a brief chat with the other mums, there’s no adult conversation whatsoever which is a huge culture shock from being a marketing manager in a busy office environment. I was used to high powered meetings with the Execs, making huge decisions about advertising & marketing materials, working to huge budgets or driving up & down the country to the company’s various sites. Every day was something different different, but was so tiring & took me away from my family so much. I barely had any time at home and my gorgeous little boy spent so much time in childcare, something had to change & when the company were making redundancies I decided to put my name forward. Fast forward a few years and I’m now doing my own thing, running this blog full time, working from home around my beautiful family. Some days the peace at home during the day is amazing, just my laptop & the radio can be so productive. Straight home after the school run & settled down at the kitchen breakfast bar with a brew is perfect to get to work. I can get lost in my writing or editing photos for the blog or my Instagram. Other days I’m in mum mode & get distracted by the laundry, finding so many jobs to do around the house & getting sidetracked and achieve nothing. Then there’s the days I pop to the local coffee shop to work. To find a little table in the corner, sit with my laptop, a caramel latte & a huge slice of cake. I can write, I can people watch, I can enjoy my work. I can enjoy doing the school run and being there for my boys. I can be around for the school assemblies, for my boy’s medical appointments. I can work around my family doing something I absolutely adore. At some point this year I’m hoping work on our extension will start and I can create a small space just for me, just for my work. I can’t wait to choose my home office furniture – Furniture at Work, pick out some beautiful accessories & style it just how I want. Right now I might not have the perfect desk but I have the perfect work. This is all the reasons why I also stay at home. My husband works in IT for a cruise line so he is constantly traveling to various locations to work on new projects. If I had to work out of the house as well it would be such an issue for us with our two small children. I started my blog to have something beyond being a full-time mommy. I can’t just be a mom and housekeeper. I have to do more and find a creative outlet or I am just not happy.